Made from the stalk of the jute plant, Floors Natural jute rugs are ordered by clients throughout Perth. Imported directly from India, the jute fibres are used by our skilled team to produce ribbed natural, ribbed hand spun or Panama hand spun rugs. Contact us or visit our showroom to view our range. Visit our showroom where you can view our range of pre-made jute mats, rugs and carpeting. If you are looking for something a bit more stylized and personal, chat to our design team about custom- made rugs woven, loomed and hand spun to suit your needs. All our natural flooring suits a range of décor preferences, from modern and contemporary to traditional and minimalist; our Panama hand spun Jute is woven to create one of the softest natural fibre rugs that people of all tastes love. Your new rug will be beautifully woven and loomed to give your bedrooms and living room a striking and luxury rustic appeal. Loomed, natural braided round jute rugs are hardy but this material is better suited for light foot traffic. Available in a variety of diameters, our round rugs are perfectly suited for indoor settings such as sun rooms and private offices. 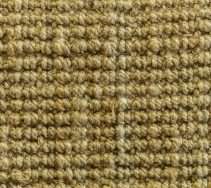 An easy-to-clean material, jute is 100% biodegradable, easy to maintain, looks fantastic and is one of the most inexpensive materials used in natural flooring. The round jute rugs need to be custom made to fit. 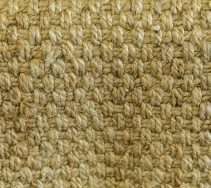 A naturally striking material, jute natural rugs look just as good as sisal and sea grass, and are available in beige, tan or a beautiful golden colour that suit all décors. The attractive weave gives jute character and the quality textures make it adaptable and chic. Keep jute away from water because the fibres soak up moisture, which degrades the material and can cause it to rot. These rugs and mats only require simple vacuuming to keep them clean. Machined, loomed or hand spun, our jute carpets, rugs and mats are made to meet a variety of decor needs. We suggest a cleaning powder to be sprinkled over the carpeting and leave it for a while to get into the fibres. Vacuum afterwards and you’ll see and smell the difference. There are specially formulated powders made for natural fibre rugs; which help to remove odours and stains. Get in touch with us today for assistance with your custom-made or pre-made jute rugs, or visit our showroom where you can feel the textures and see the weaves. We look forward to assisting you.